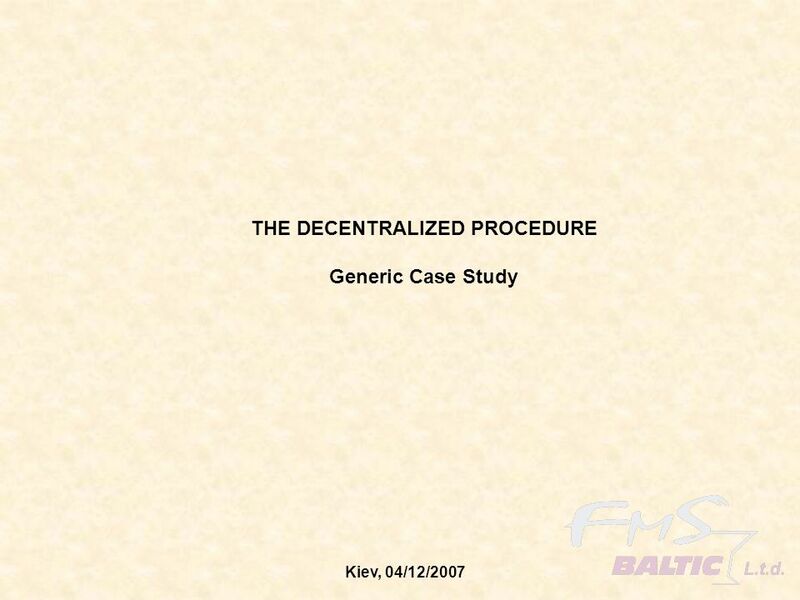 11 Which procedures are possible for generics ? 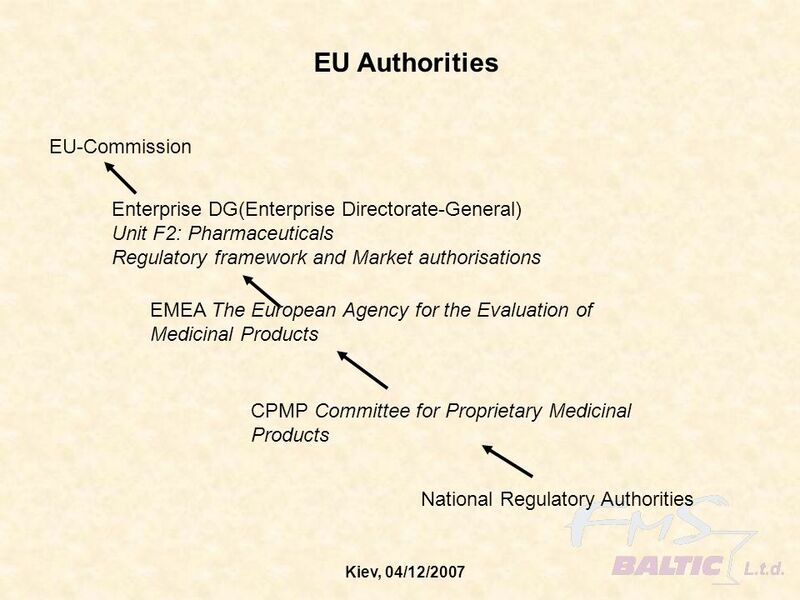 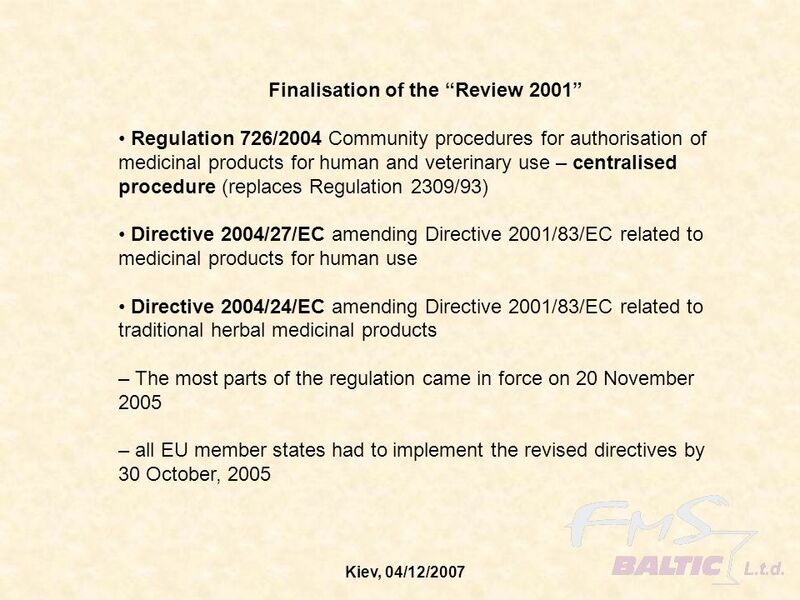 13 What is a generic medicine in EU ? 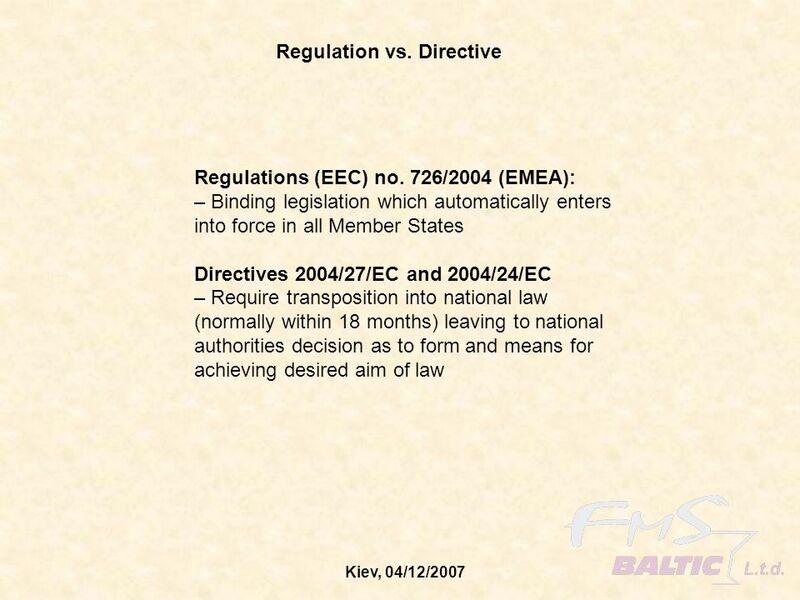 14 What is Data Exclusivity ? 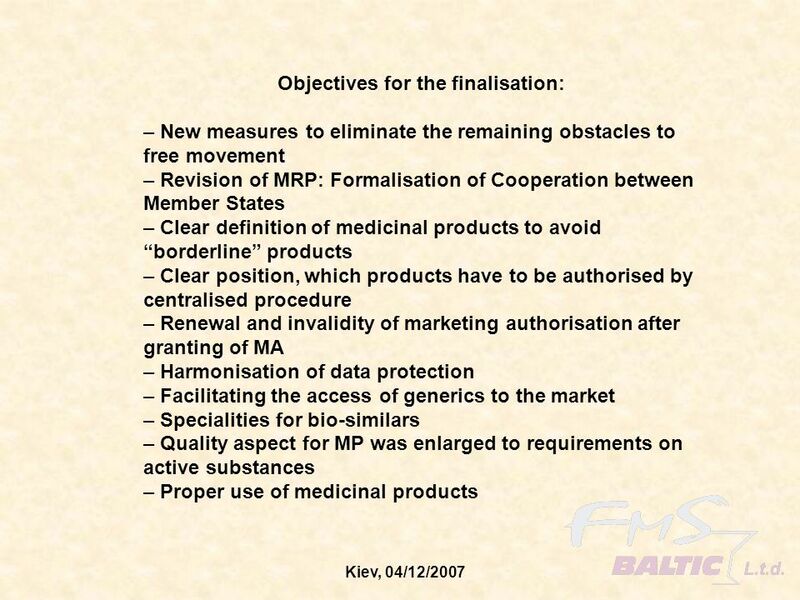 Data Exclusivity guarantees market protection for branded pharmaceuticals by preventing health authorities from accepting applications for generic medicines during a given period (6 or 10 years after the first authorisation in the EU of theoriginator product). 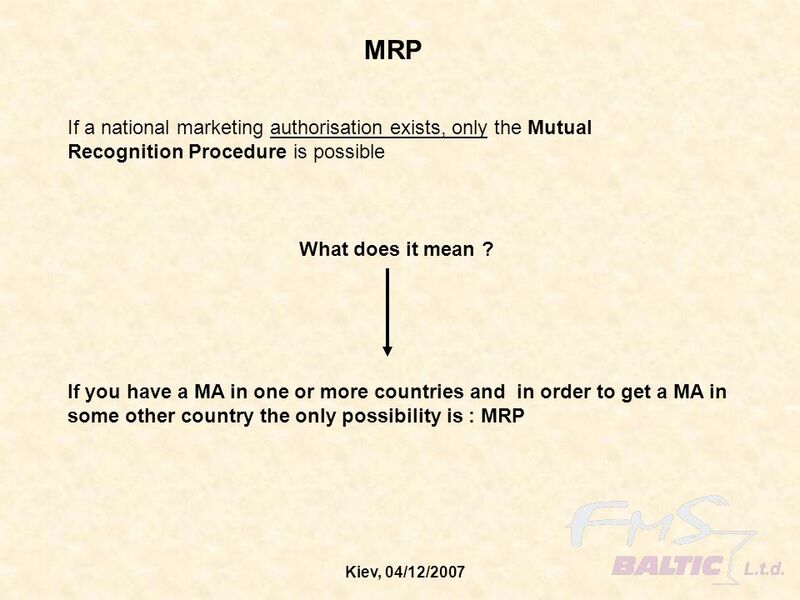 16 What is Bolar Provision? 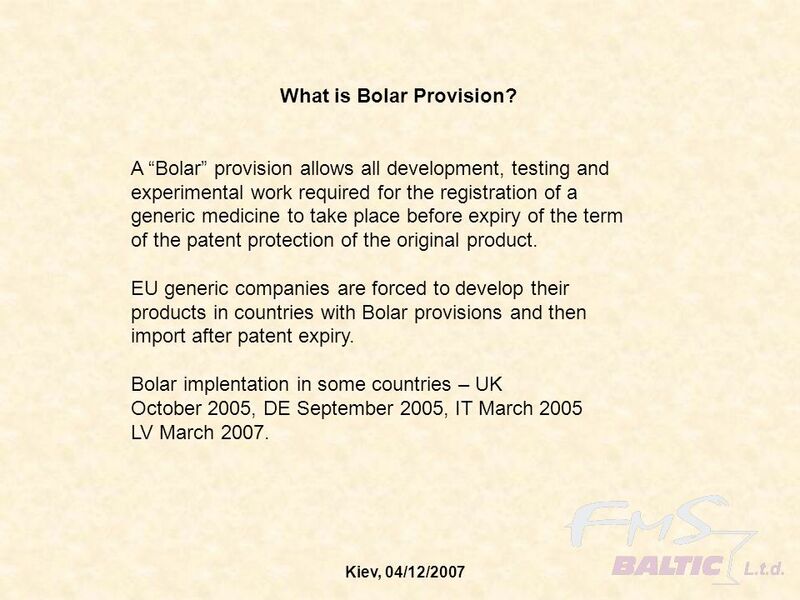 A “Bolar” provision allows all development, testing and experimental work required for the registration of a generic medicine to take place before expiry of the term of the patent protection of the original product. 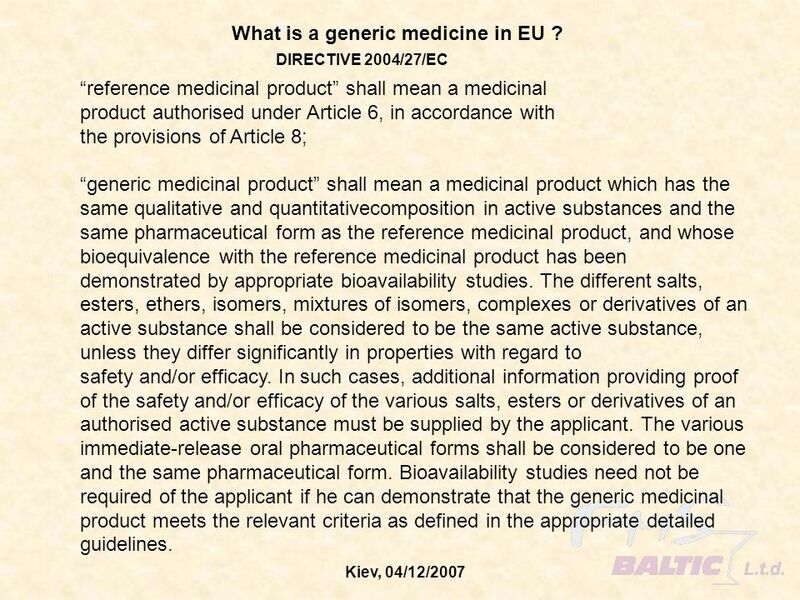 EU generic companies are forced to develop their products in countries with Bolar provisions and then import after patent expiry. 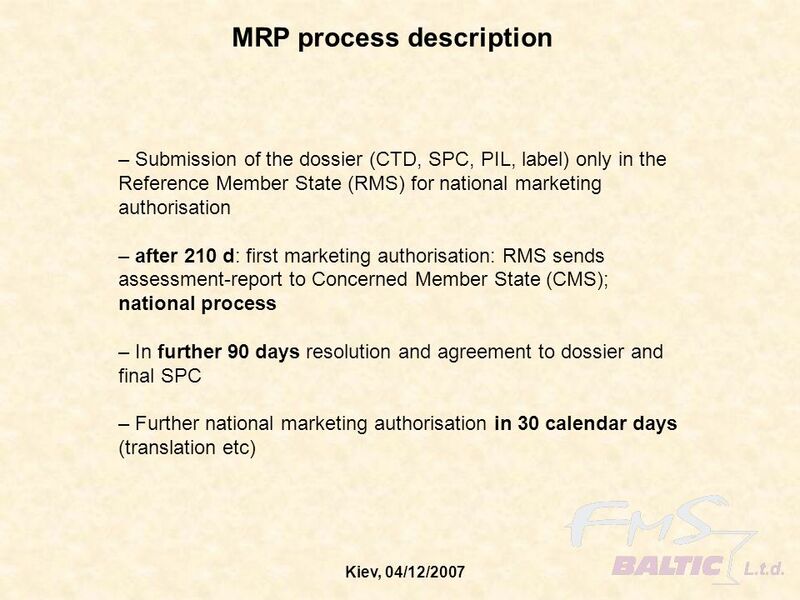 Bolar implentation in some countries – UK October 2005, DE September 2005, IT March 2005 LV March 2007. 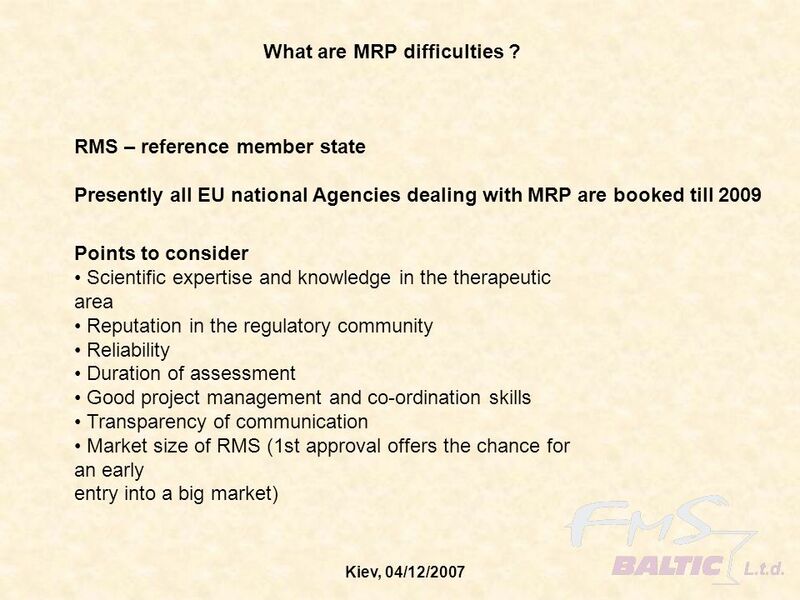 19 What are MRP difficulties ? 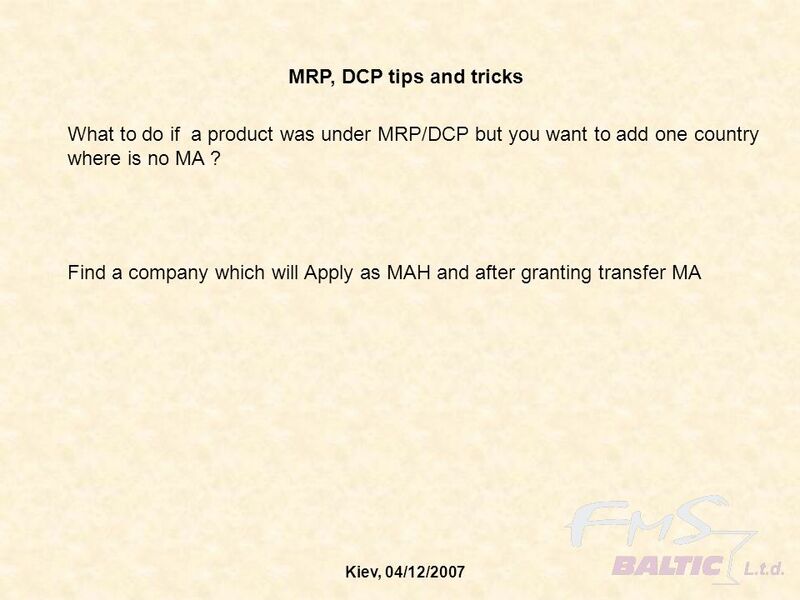 31 What are main threats in MRP, DCP ? 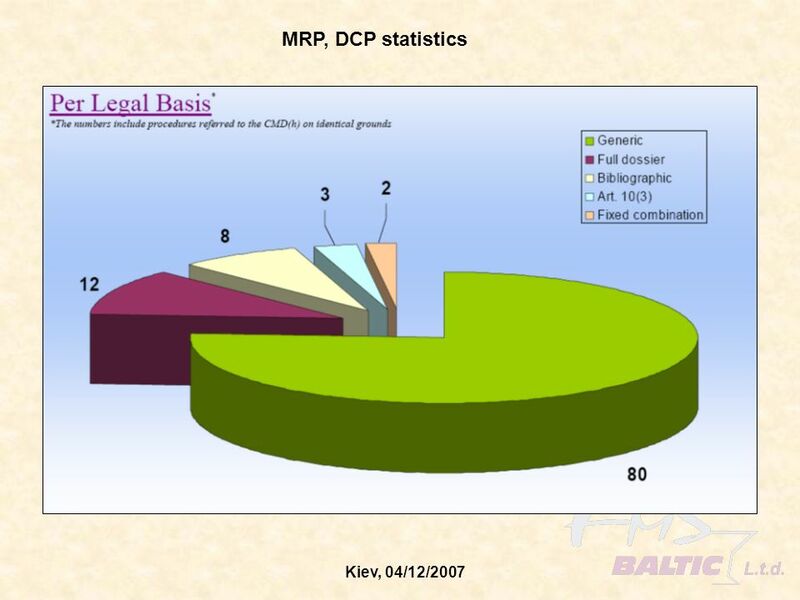 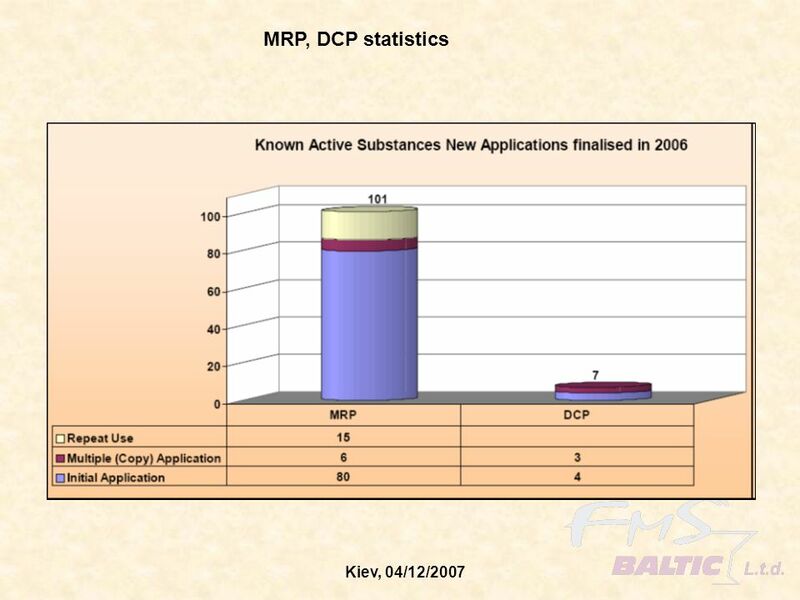 32 What are main threats in MRP, DCP ? 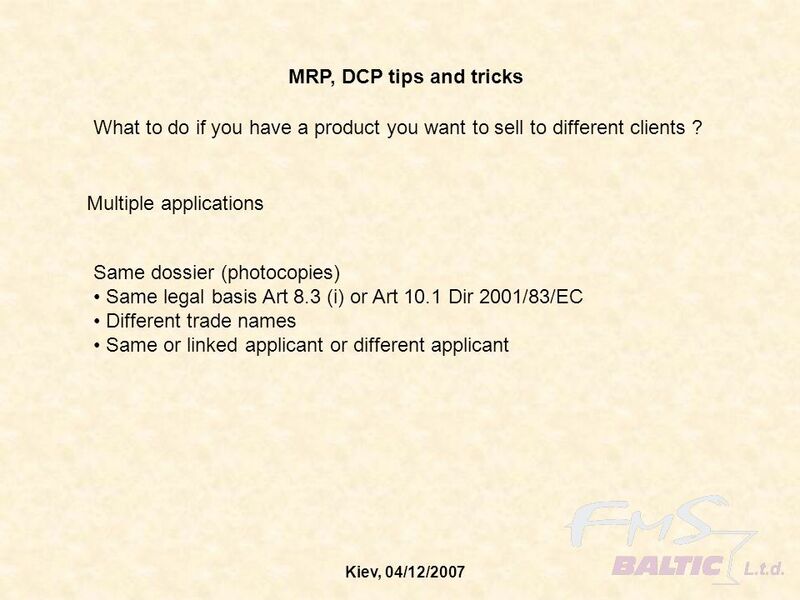 33 What are main threats in MRP, DCP ? 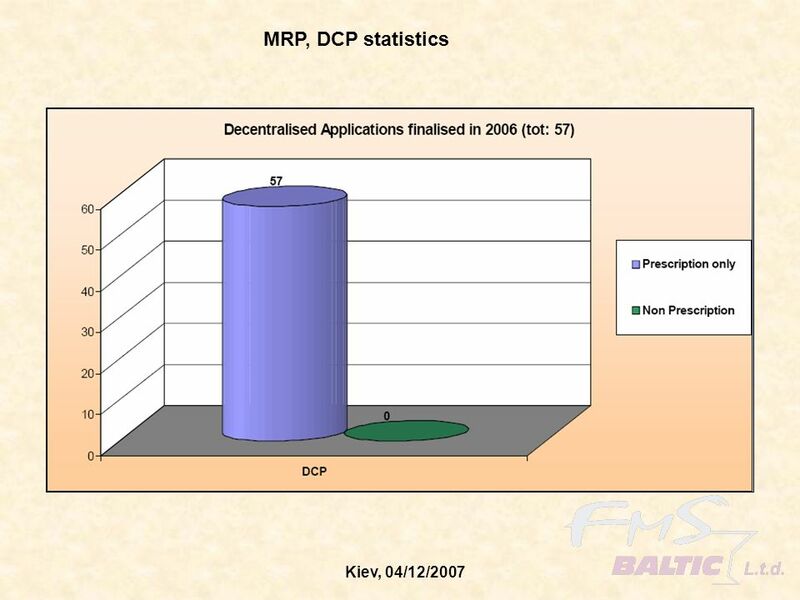 34 What are main threats in MRP, DCP ? 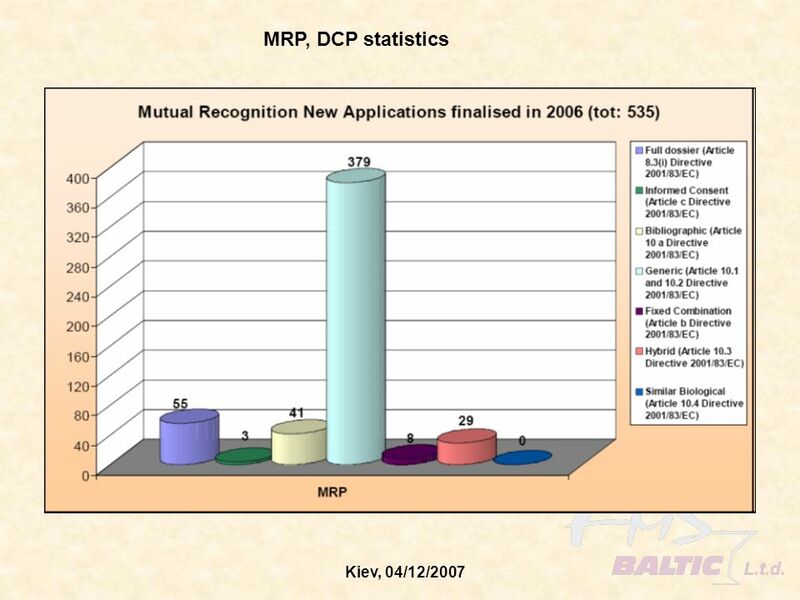 35 What are main threats in MRP, DCP ? 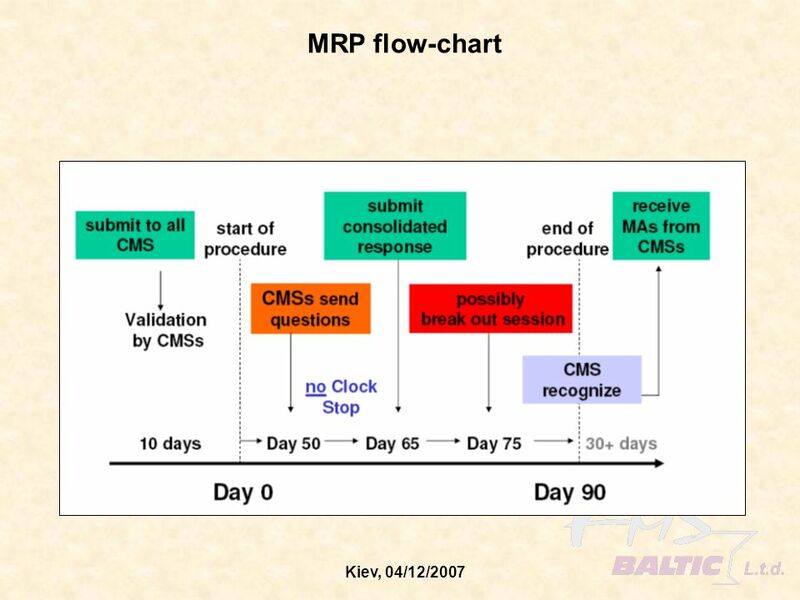 During the procedure Strict follow to timeframes set in procedure The duration of the clock stop can be strongly influenced by the applicant !!! 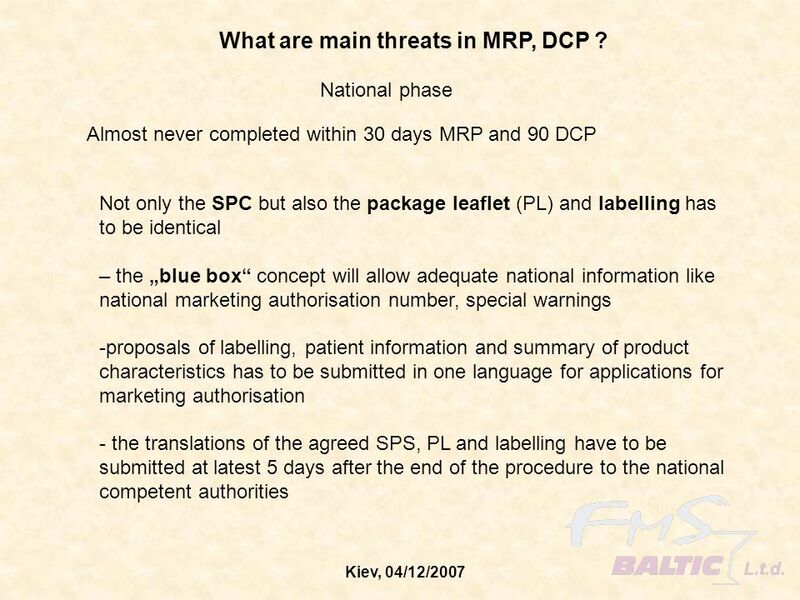 36 What are main threats in MRP, DCP ? 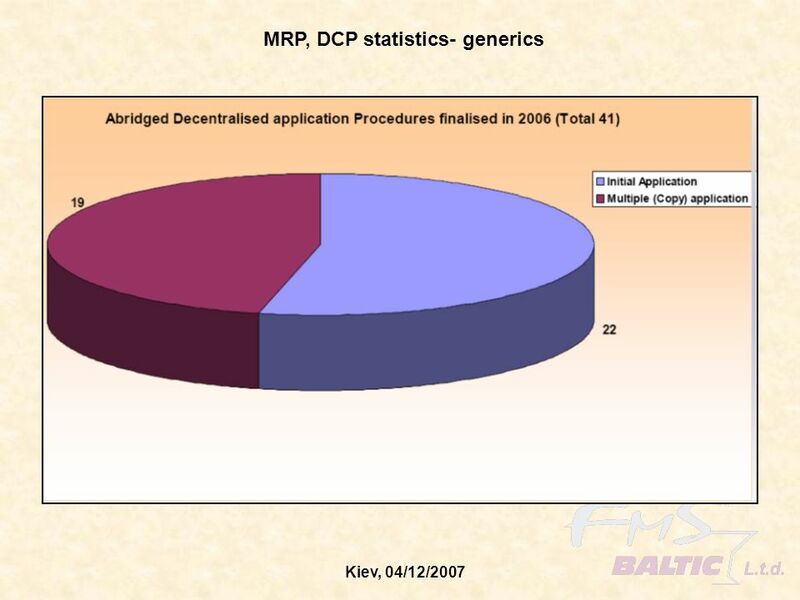 37 What are main threats in MRP, DCP ? 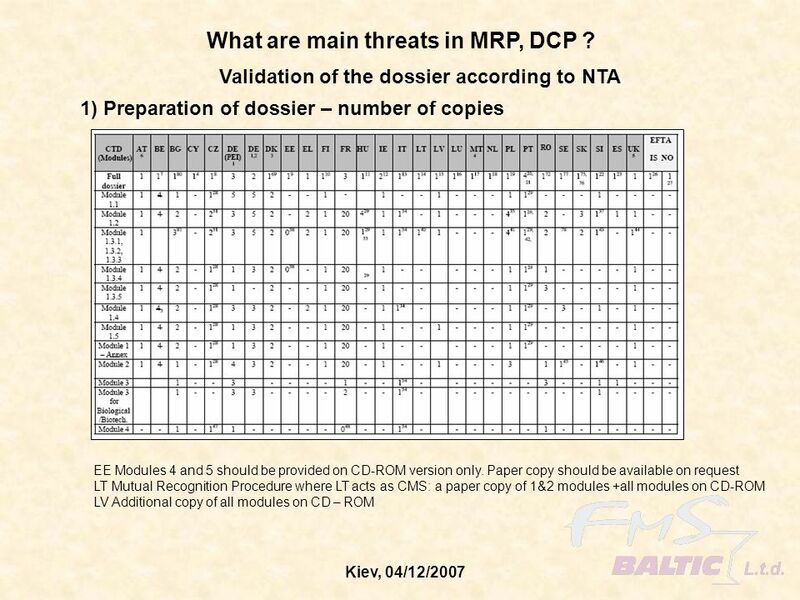 38 What are main threats in MRP, DCP ? 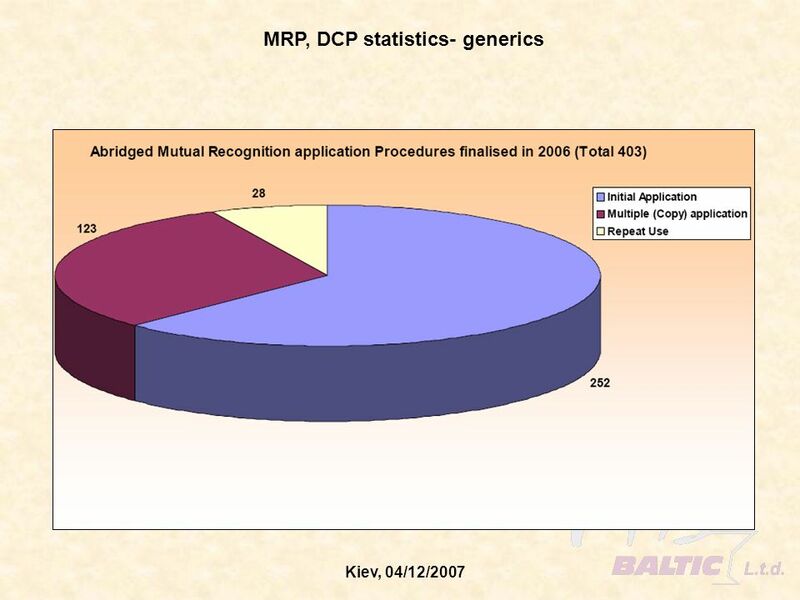 39 What are main threats in MRP, DCP ? 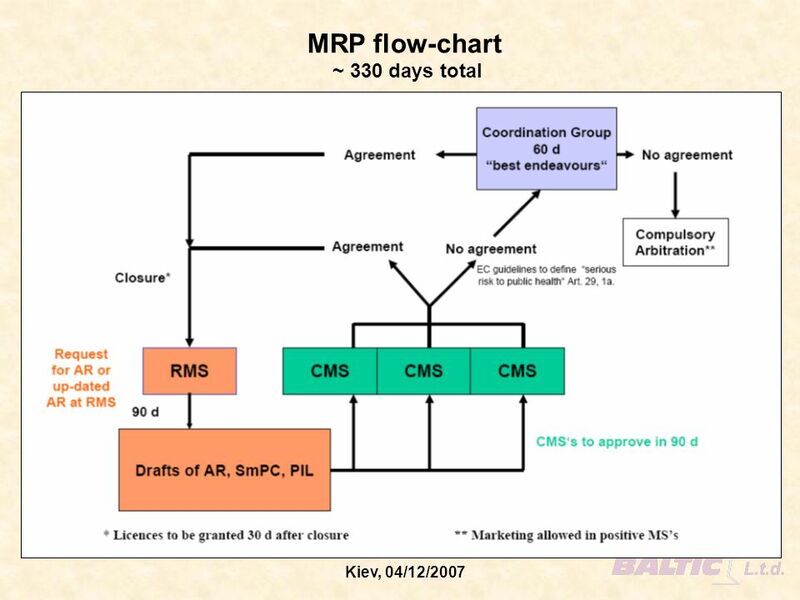 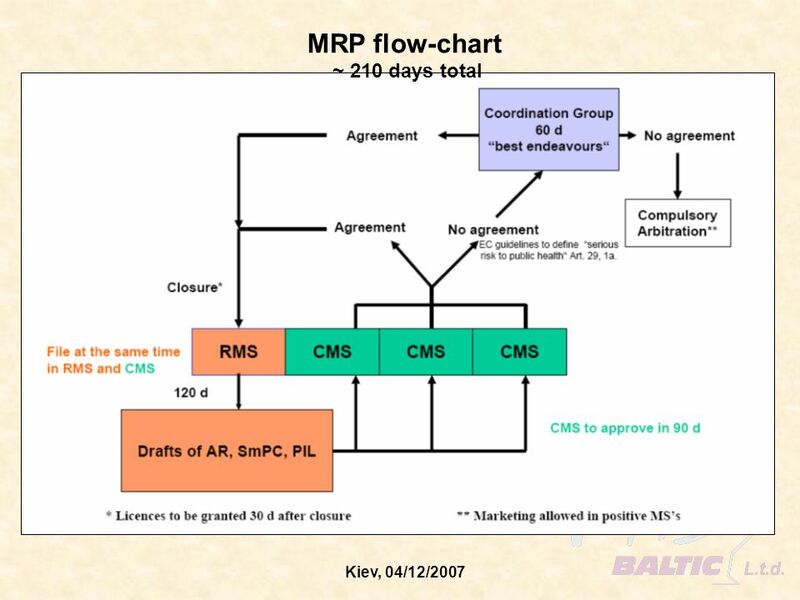 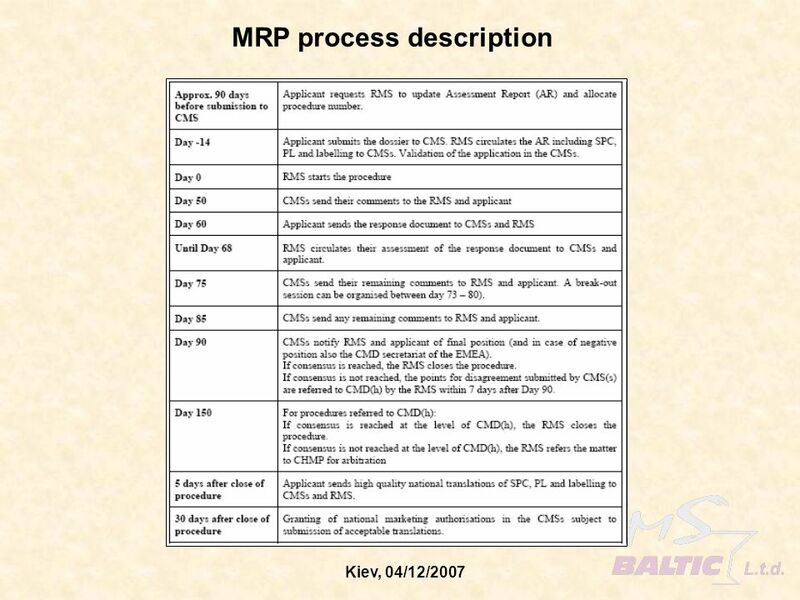 Common Baltic Pack – reality ? 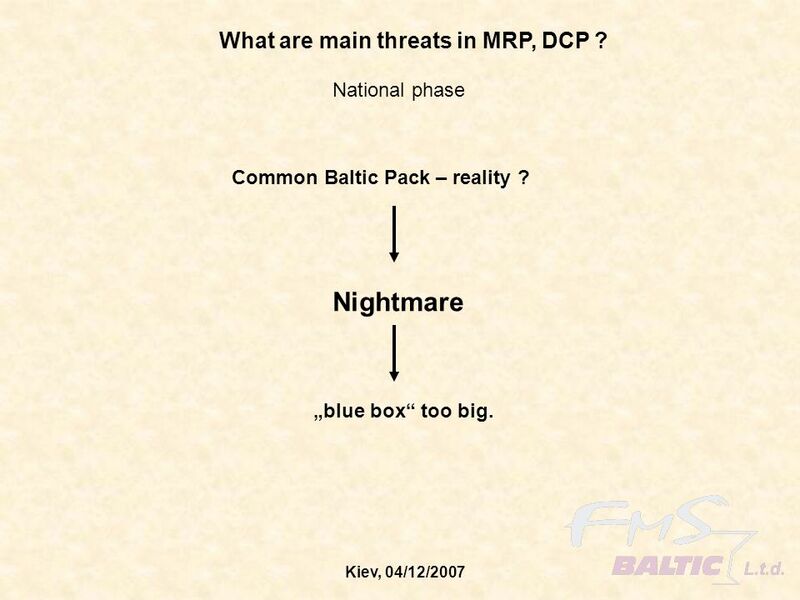 Nightmare „blue box“ too big. 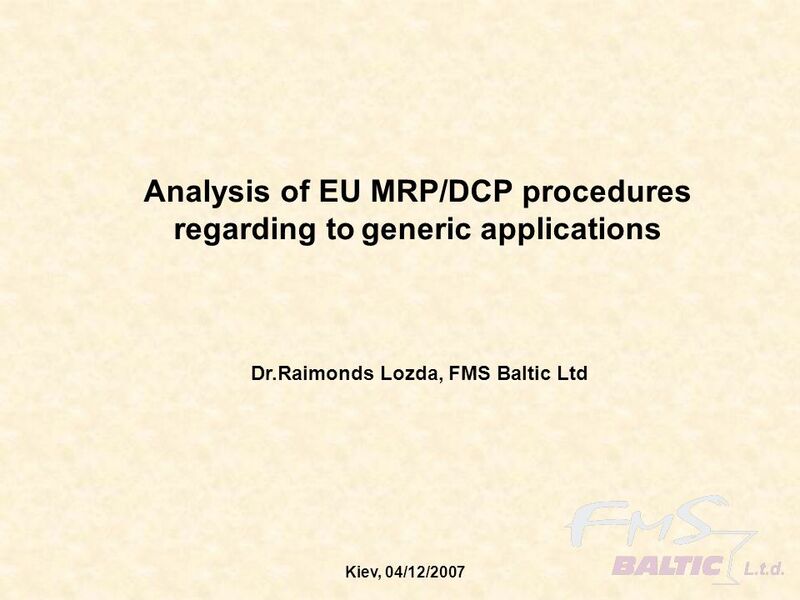 Download ppt "regarding to generic applications"
1 Harmonisation of requirements: where we are Erik Waterdrinker, IFAH-Europe 2nd Veterinary Workshop on E-submission 4 Dec 2009, EMEA, London. 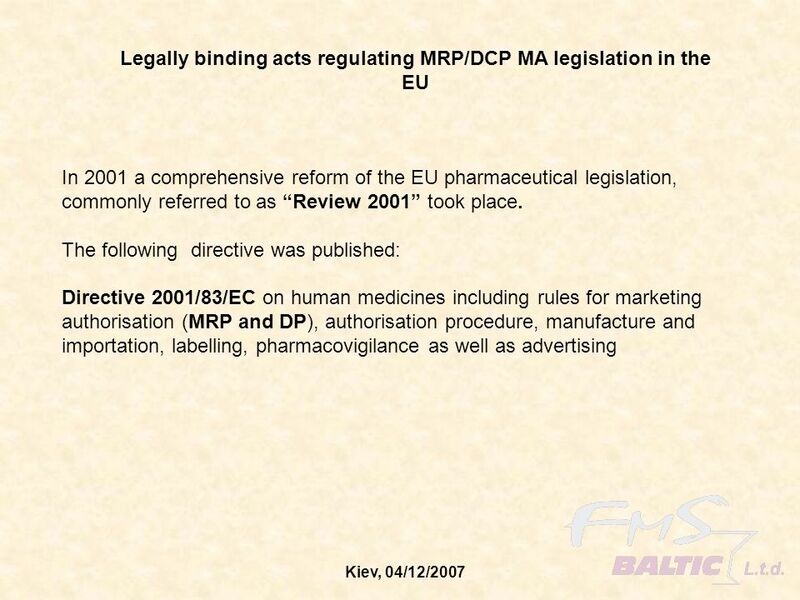 EPAA Annual conference November Regulatory acceptance of alternative approaches for pharmaceuticals Jean-Marc Vidal Safety & Efficacy of Human Medicines. 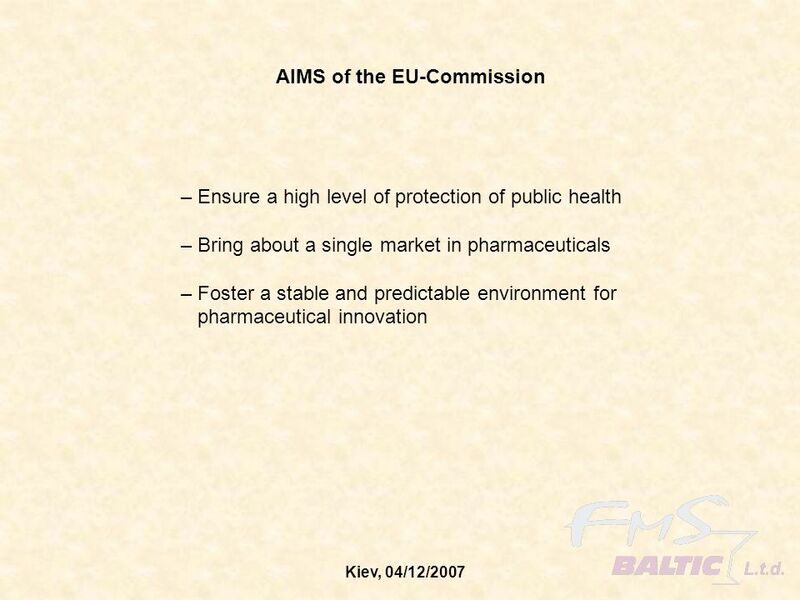 ROLE OF THE PHYSICIAN IN THE APPROVAL PROCESS Stephanie de Bono MD PhD Medical Advisor, Eli Lilly. 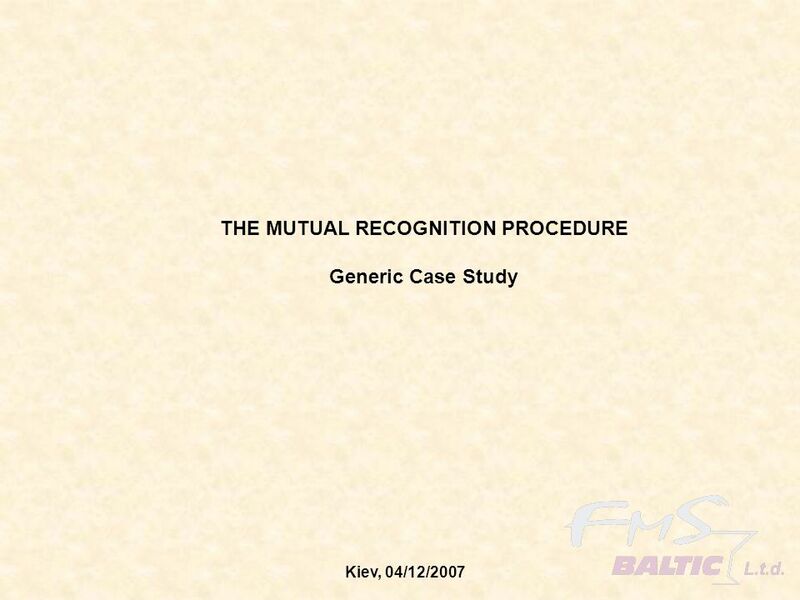 Special populations- What makes them so special? 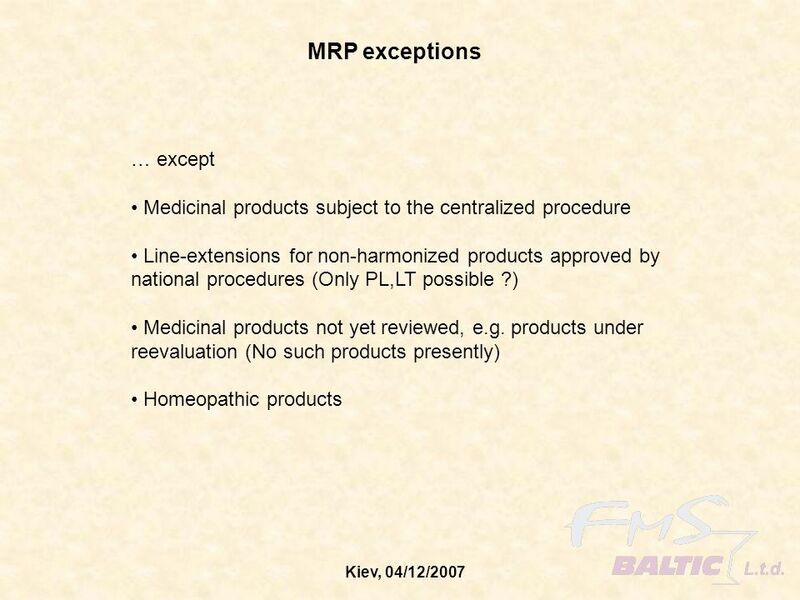 AGAH Association for Applied Human Pharmacology Annual meeting 2004 Berlin 29. 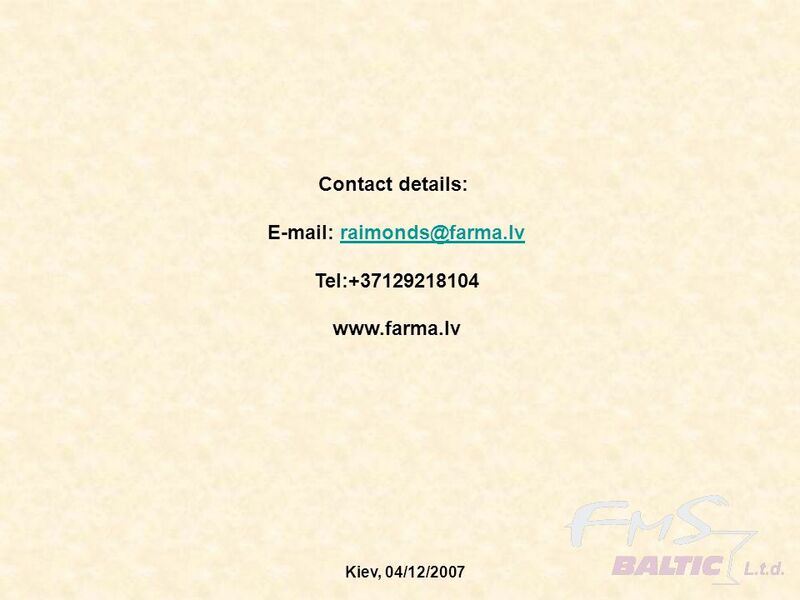 Februar 2004 Birka Lehmann. 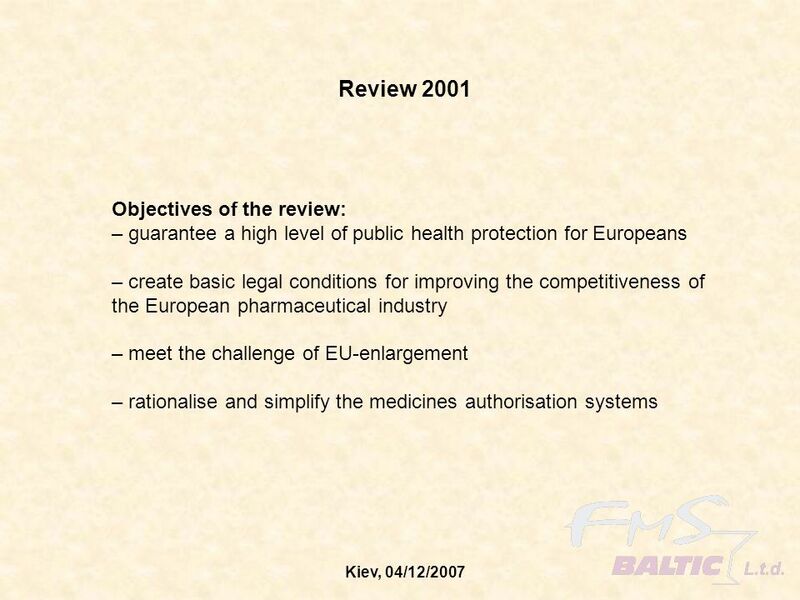 Product information (II) – aspects relevant for ACTs Regine Lehnert Training workshop: Regulatory requirements for registration of Artemisinin based combined.